Jane Fonda and Lily Tomlin have at least 7,000 people behind them in their quest for equal pay for women in Hollywood, and on their Netflix series “Grace & Frankie” in particular. “That doesn’t make us happy,” Fonda said. 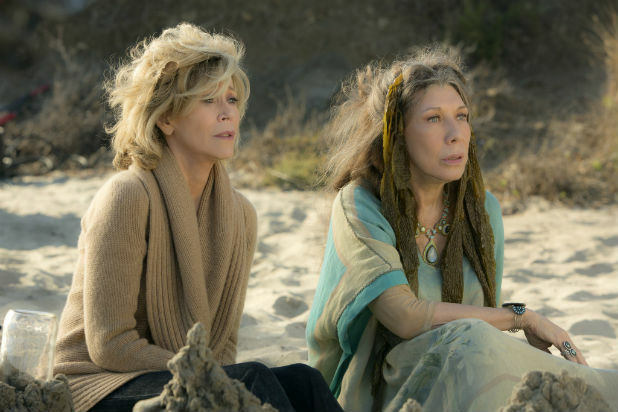 Fonda and Tomlin play the titular “Grace and Frankie,” who bond after discovering their husbands — Sheen and Waterston — are not only gay, but leaving them for each other. The “Grace and Frankie” petition is close to reaching its goal of 8,000 signatures with 7,232 people having signed thus far. The petition addresses “Grace and Frankie” executive producers Marta Kauffman and Howard J. Morris, as well as Netflix VP of original series Cindy Holland.